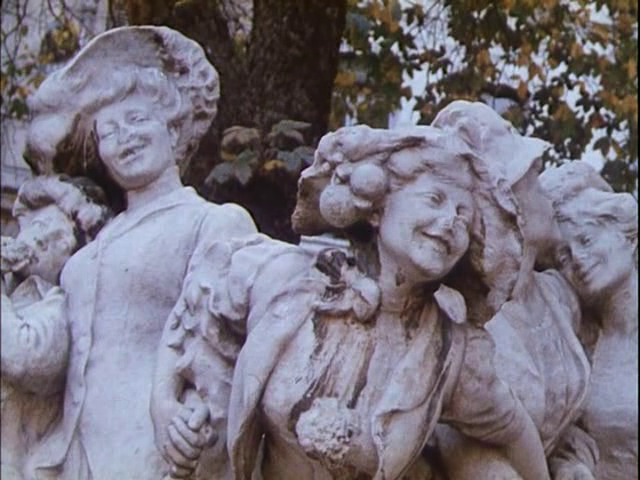 See here for a discussion of this film's approach to topography. 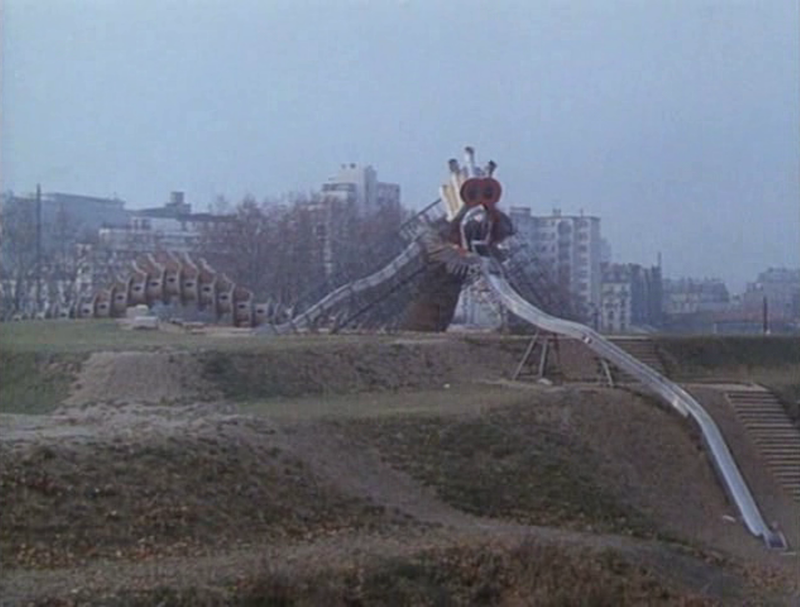 20e: place de la porte de Montreuil: Baptiste (Pascale Ogier) arrives, addressing Paris as the New Babylon (‘A nous deux Babylone’). 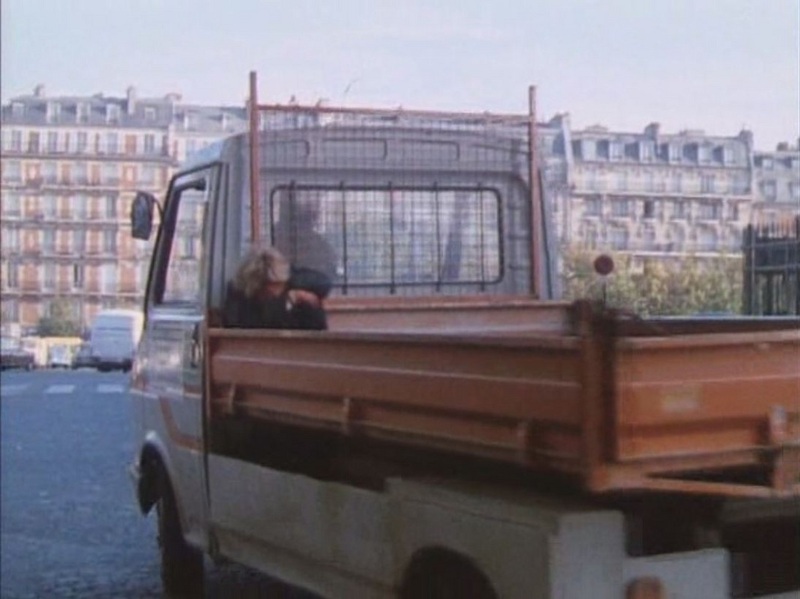 14e: Place Denfert-Rochereau: Marie Lafée (Bulle Ogier) arrives, in a truck, coming up the avenue René Coty. 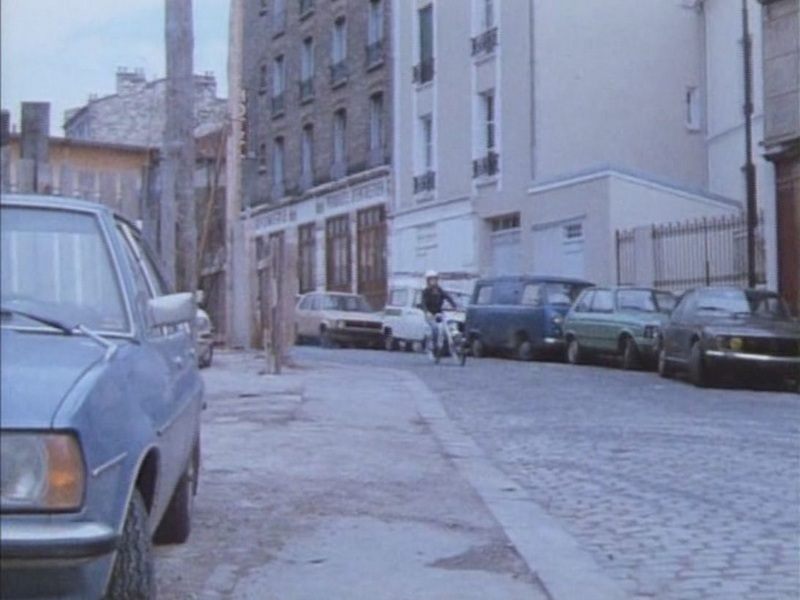 20e: rue de la Croix Saint-Simon: Baptiste on her mobylette in vis-à-vis with Max (Jean-François Stévenin) and his motorbike. 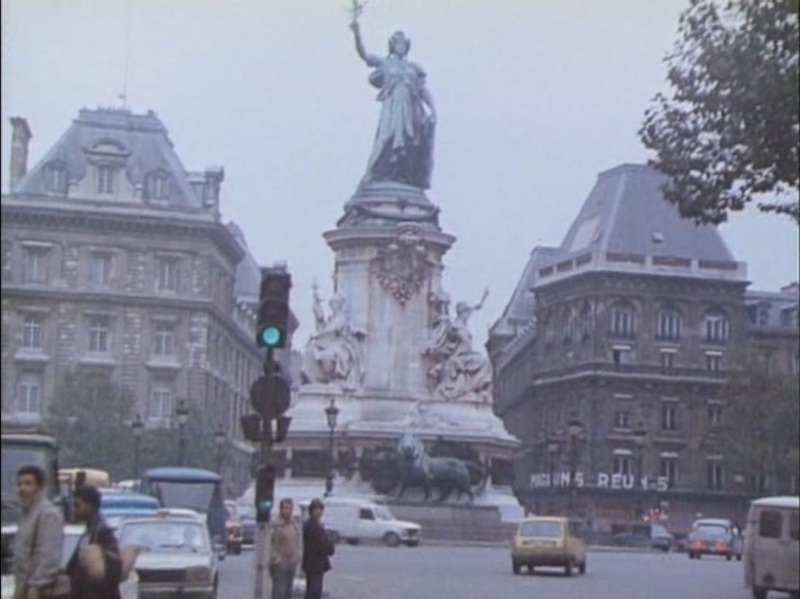 14e: Place Denfert-Rochereau; Marie goes into a café (the ‘café de Belfort’, now Monceau-Fleurs, 110 avenue Denfert-Rochereau), and comes out quickly, overcome by claustrophobia. 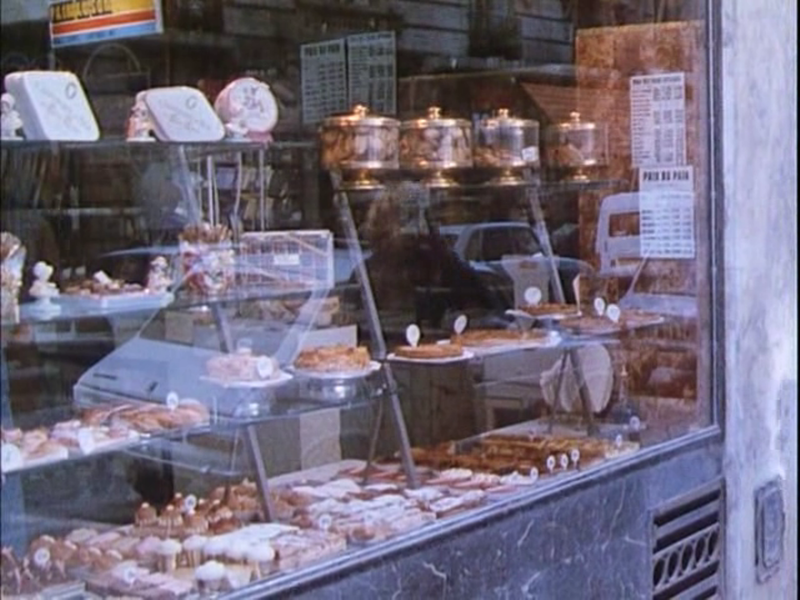 Marie buys 2 croissants from a boulangerie (‘J. 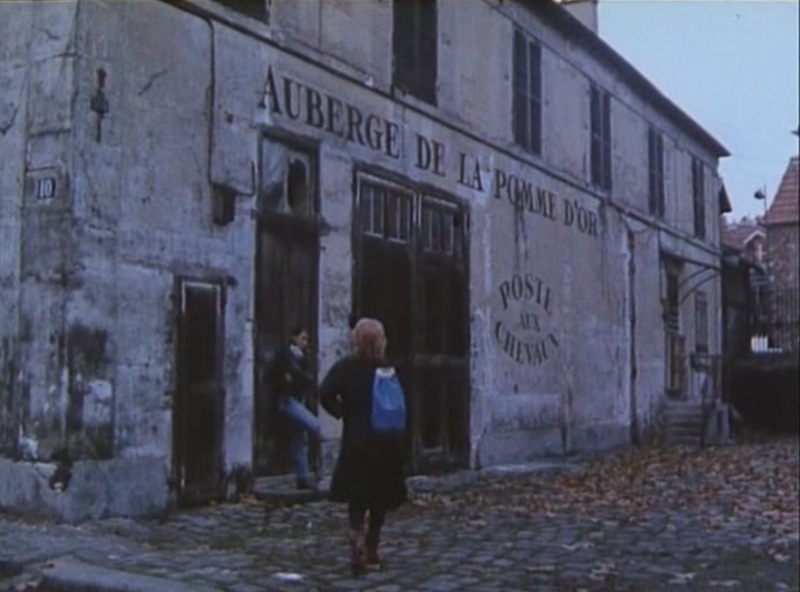 Berthault’, 7 rue Ernest Cresson), without going in. 14e: Denfert-Rochereau métro station: Marie in the place Denfert-Rochereau, overlooking the tracks. 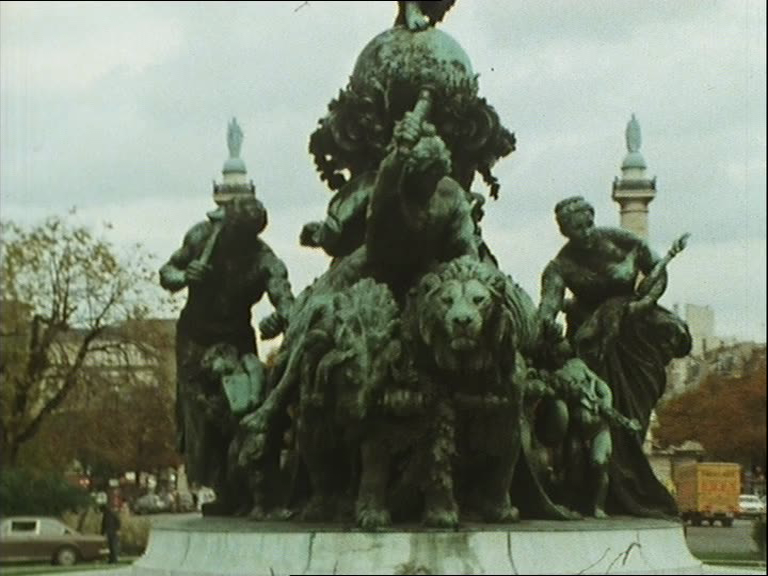 14e: Baptiste circles the Lion de Belfort, place Denfert-Rochereau, then has an accident in the rue Froidevaux as Marie crosses her path. The mobylette dies. 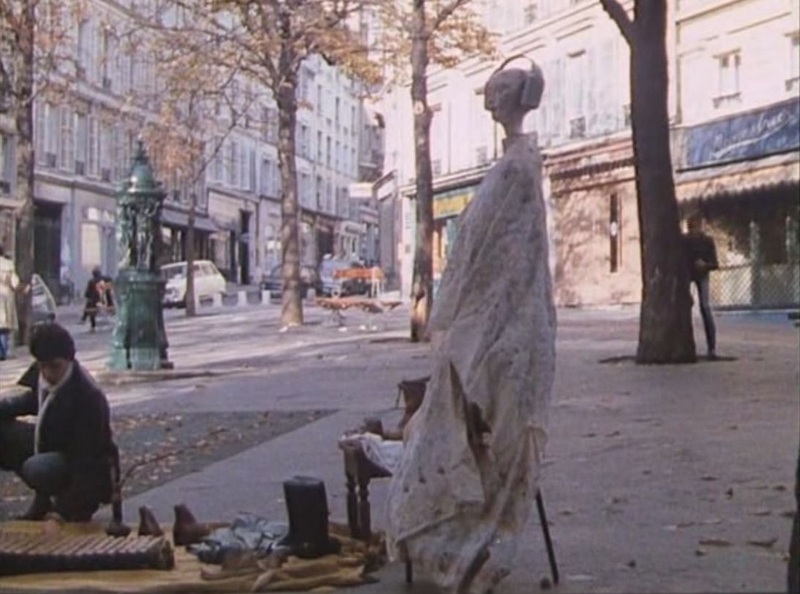 b: 19e in the square Dampierre-Rouvet (very close to where she will die): she writes a postcard to ‘Mathias Doinel, hotel de la Santé, 42 rue de la Santé 14e’, i.e. the Prison de la Santé. 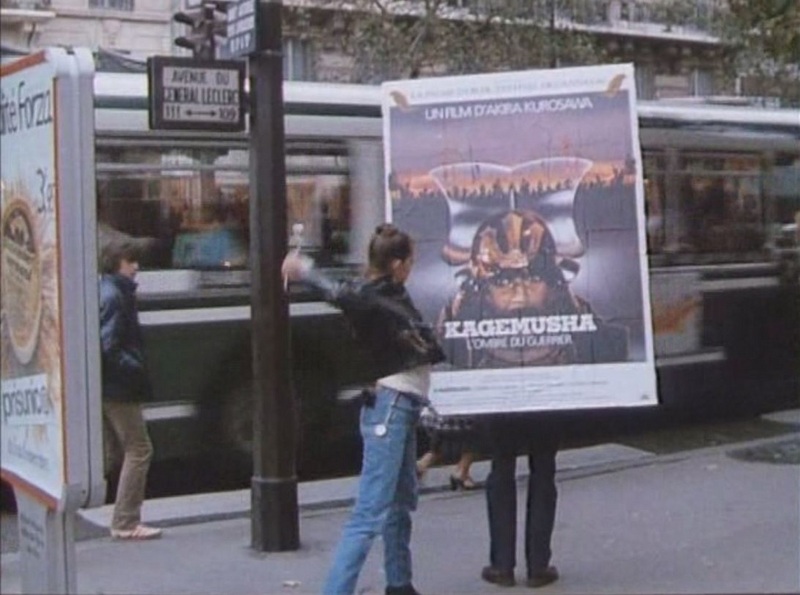 14e: Marie comes down the rue Sarrette and tries to post her card in letterbox of a shop, Franck Gef, bijoutier at n.109 avenue du General Leclerc; she stops Baptiste attacking a poster for Kurosawa’s Kagemusha (1980) – ‘kagemusha’ means ‘impersonator’. 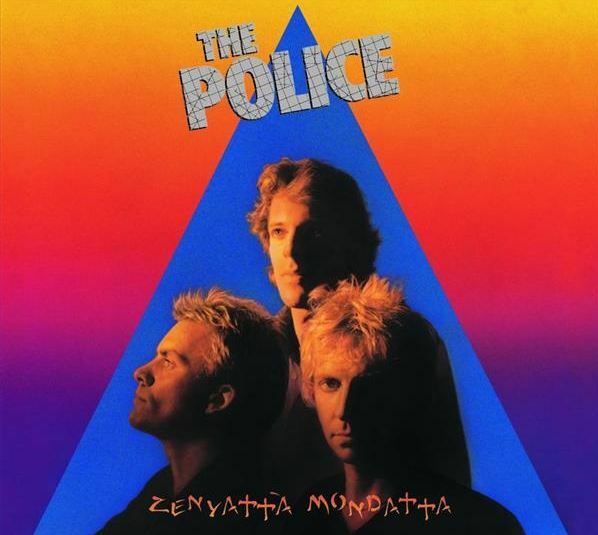 14e: 55 avenue René Coty; a large map of Paris on the wall (with lots of ‘Darty’ logos on it); on the stairs leading up to the rue Saint Yves, Baptiste tries to stop children fighting over an album (Zenyatta Mondatta by The Police, 1980). 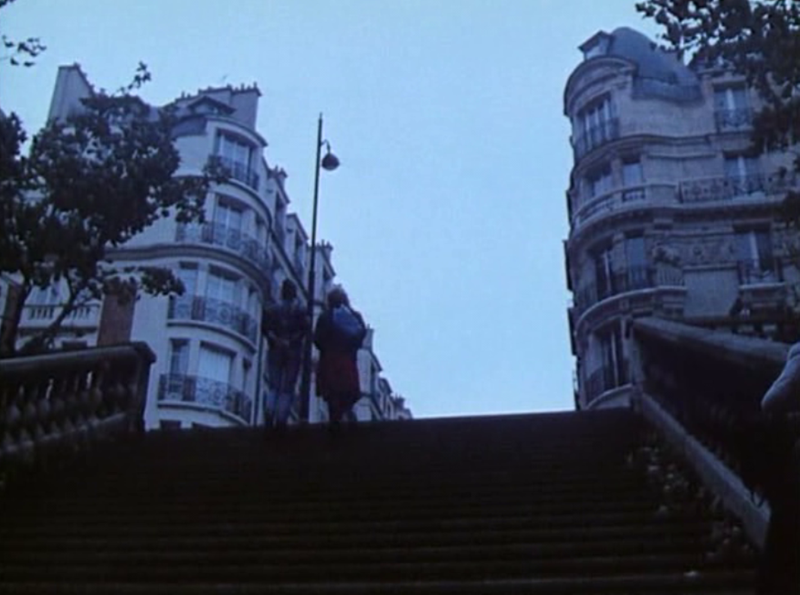 9e: rue de Bellefond, Baptiste walks across bridge over the rue Pierre Semard and comes down the stairs. 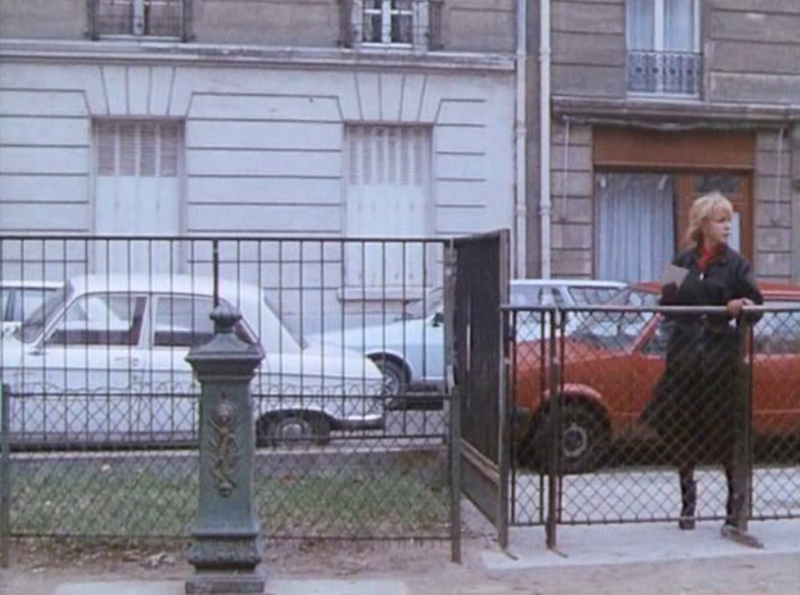 Marie is outside the Hotel Baudin, n.10 rue Pierre Semard. She asks Baptiste to enquire after Julien in the hotel. Max is reading newspapers at the café opposite, 2 rue Rochambeau. 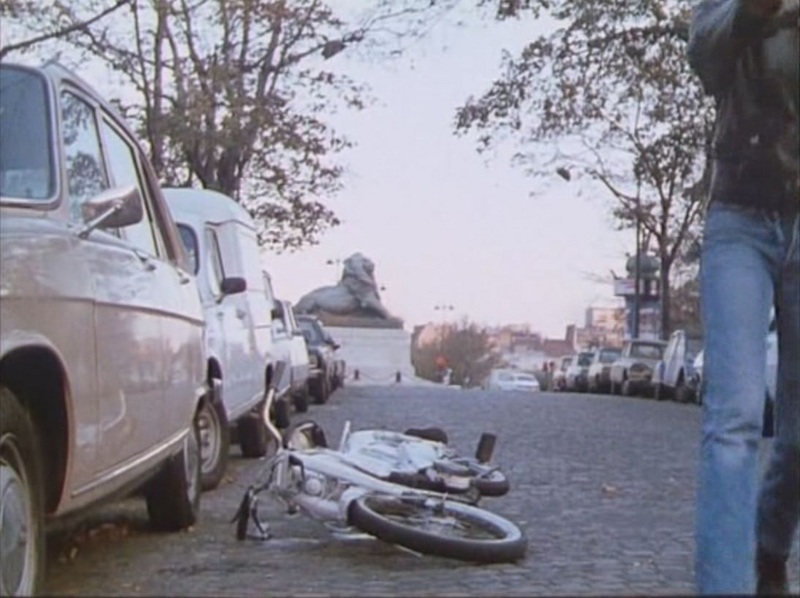 9e: rue Henri Monnier, place Gustave Toudouze, a fontaine Wallace and a telephone kiosk: Baptiste & Marie. 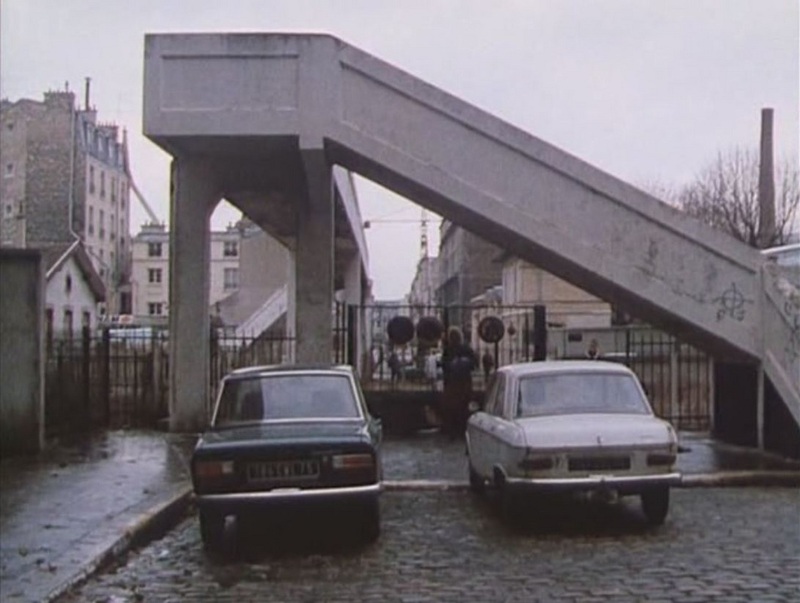 7e-16e: the passerelle Debilly. Baptiste & Marie cross to the north side of the Seine. 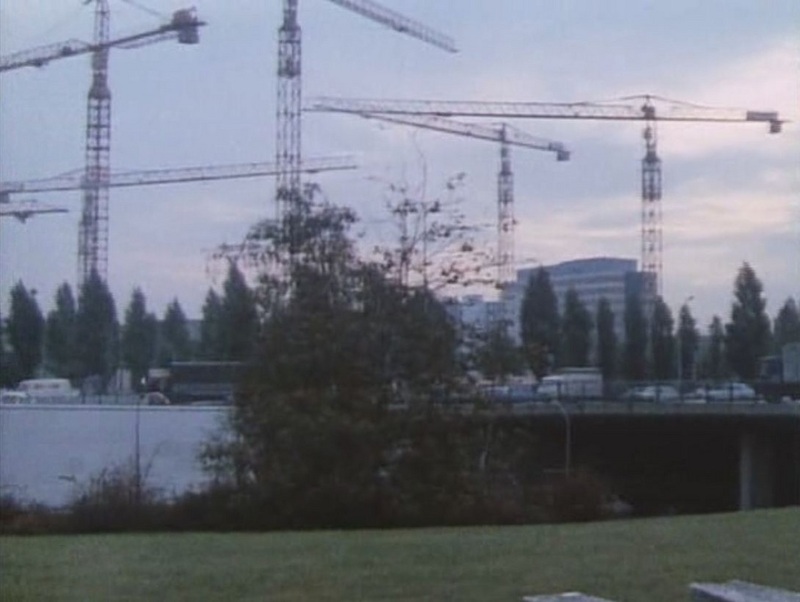 The Eiffel Tower can just be glimpsed behind them. 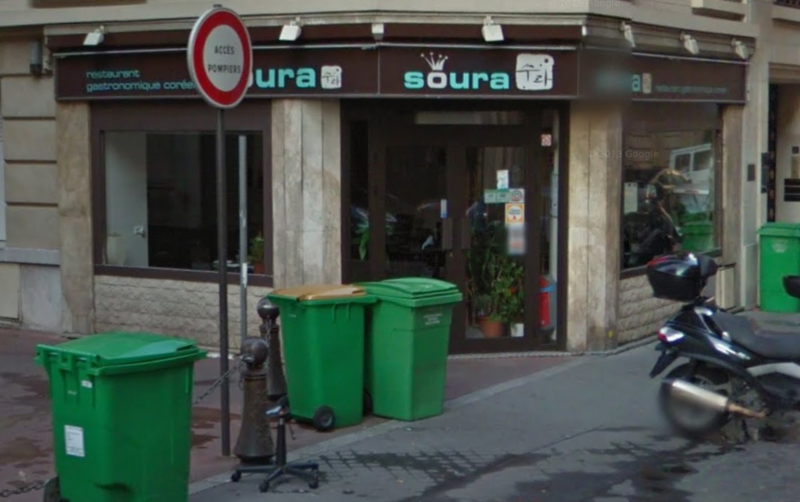 13e: rue Duméril. Baptiste & Marie go up the stairs. 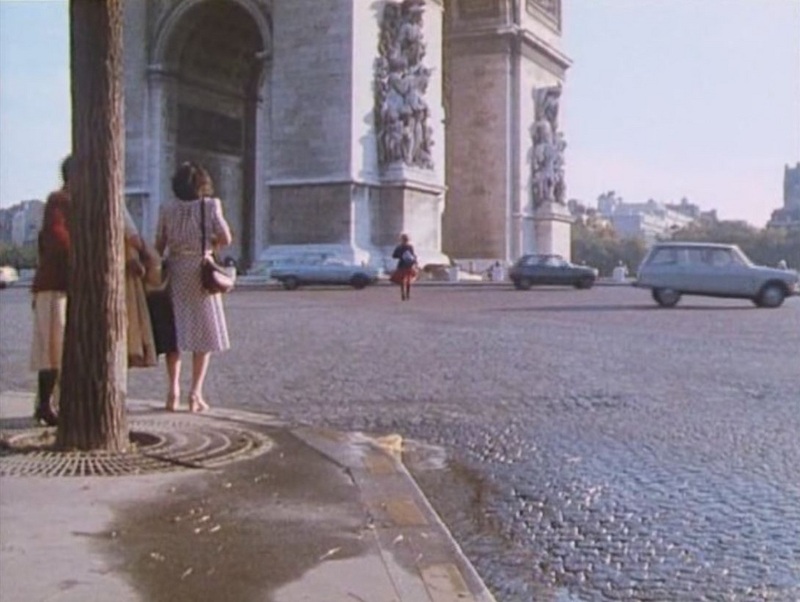 Marie points to what is in front of them and suddenly they are on the other side of Paris, at the Arc de Triomphe. 16e: Baptiste & Marie approach the Arc de Triomphe from the Avenue Mac-Mahon, then Marie meets Julien at the top; Max is at ground level. 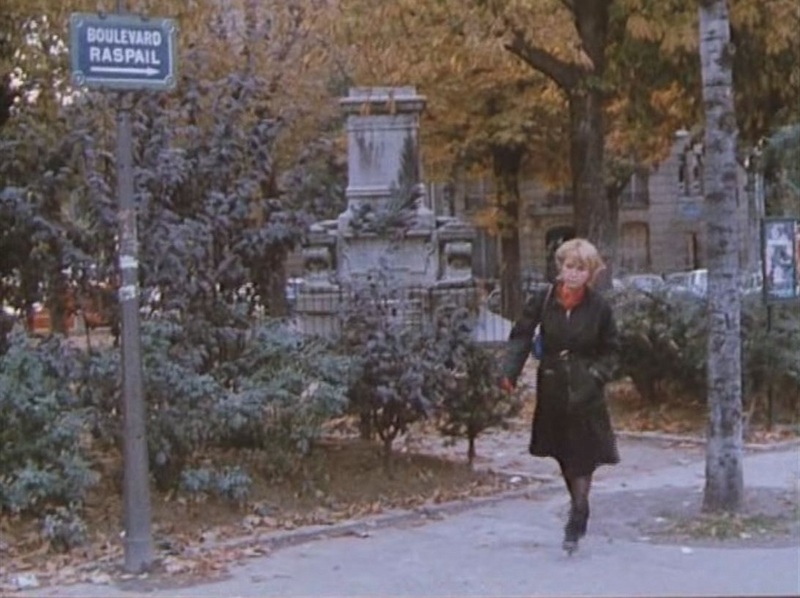 then they go from the avenue Marcel Proust up the stairs of the avenue du Parc de Passy, towards the rue Raynouard. 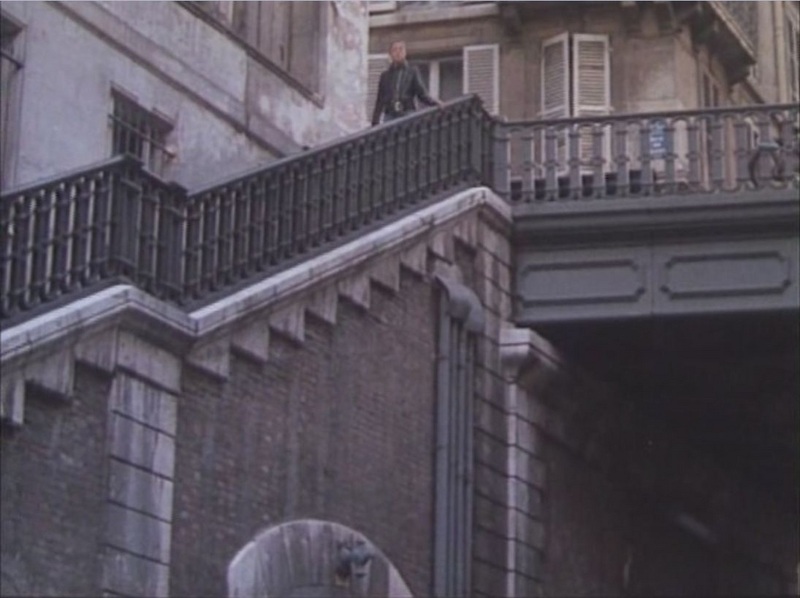 These two stairways are parallel, so their succession in the film isn’t logical. 15e (? ), Marie & Baptiste have spent the night in a shelter, in a square. 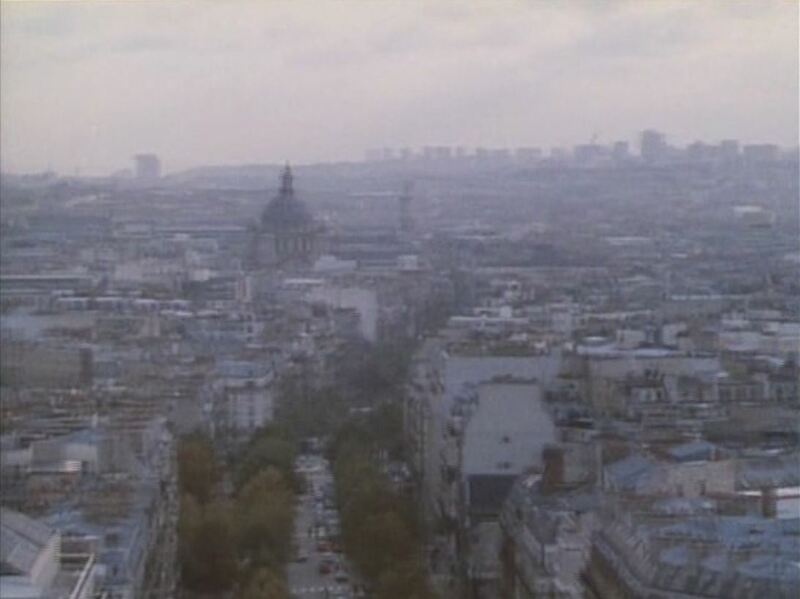 According to Caroline Champetier, cinematographer on the film, this is the square Saint Lambert, 15e. I haven't yet found the shelter itself; it may have gone now. 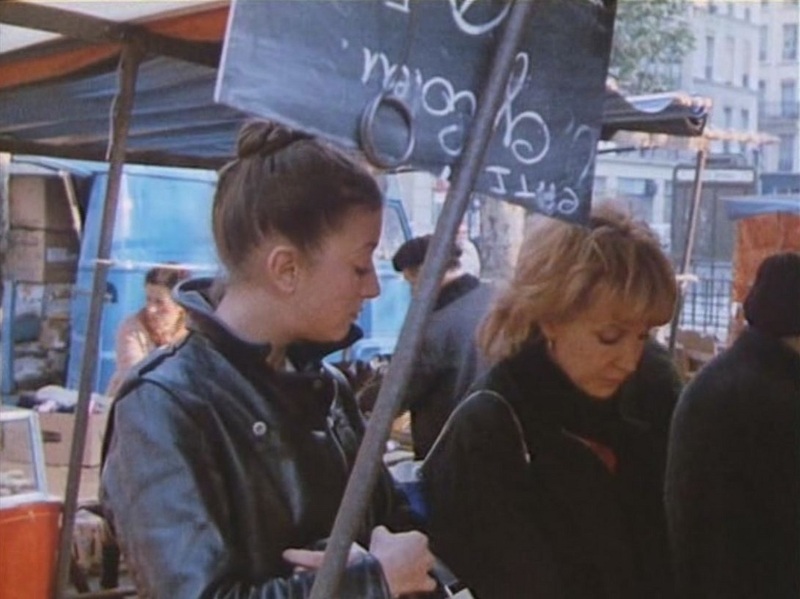 5e: street market, place Monge. 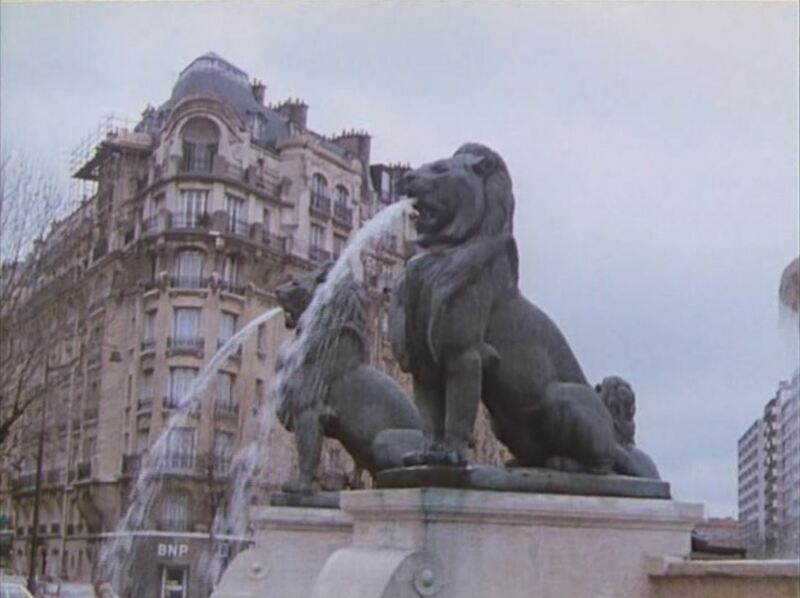 Ends with insert: 3 shots of Davioud's Fontaine aux Lions, place Félix Eboué, 12e. 16e: the Jardins du Ranelagh. Marie meets Julien, spied on by Baptiste. 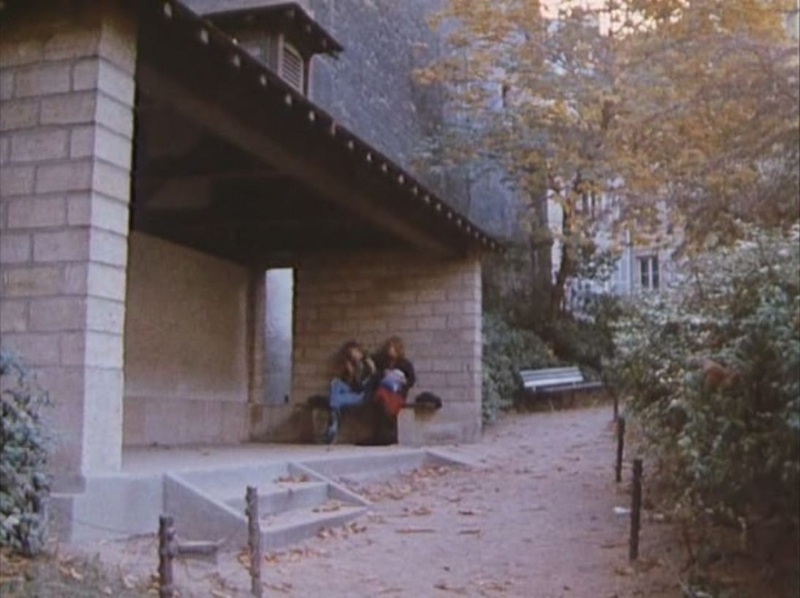 16e-15e: pont de Bir-Hakeim; Baptiste & Marie with a map of Paris transformed into a jeu de l’oie: they are on the bench half way along the bridge, with the Eiffel Tower behind them (which we don’t see). Right next to them is Wederkinch’s equestrian statue of ‘La France renaissante’ (1930). 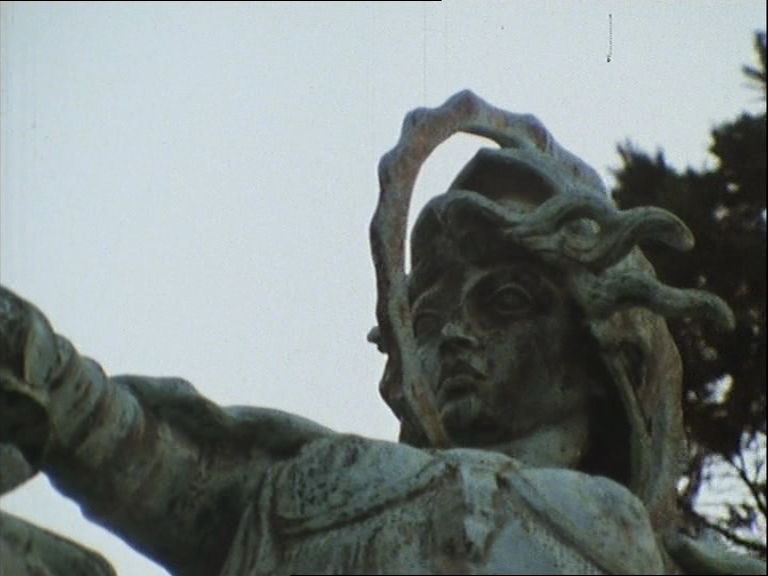 The sequence ends with a close up of the statue's rider. 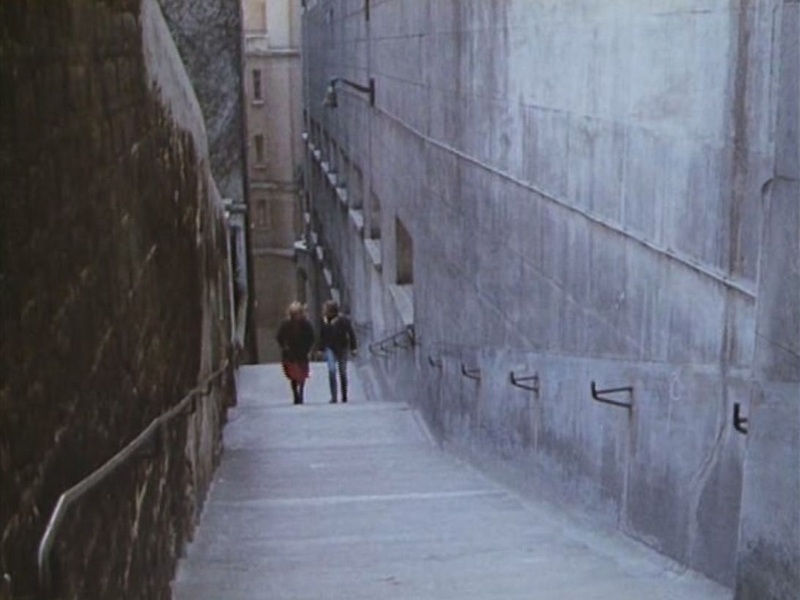 10e: quai de Valmy, near Jaurès metro (near the canal and the métro aérien): Baptiste & Marie, then Marie & Julien (they go up stairs to the road from the quai); then Baptiste & Max. 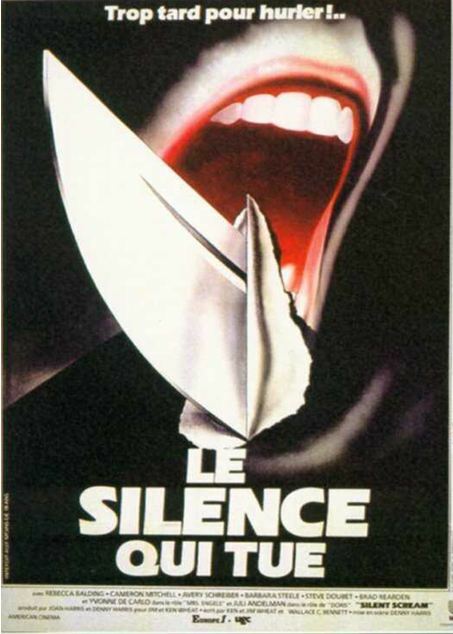 10e: métro aérien: Baptiste & Marie travel in the métro then get off one stop later, at Stalingrad – they sit in front of a poster for Silent Scream, a 1980 Psycho-like slasher film. on the tracks with the footbridge behind them, then they approach the pont de la rue de Crimée, by the parc des Buttes Chaumont, through which the Petite Ceinture runs. 19e: the cimetière des juifs portugais, 44 avenue de Flandres (‘no. 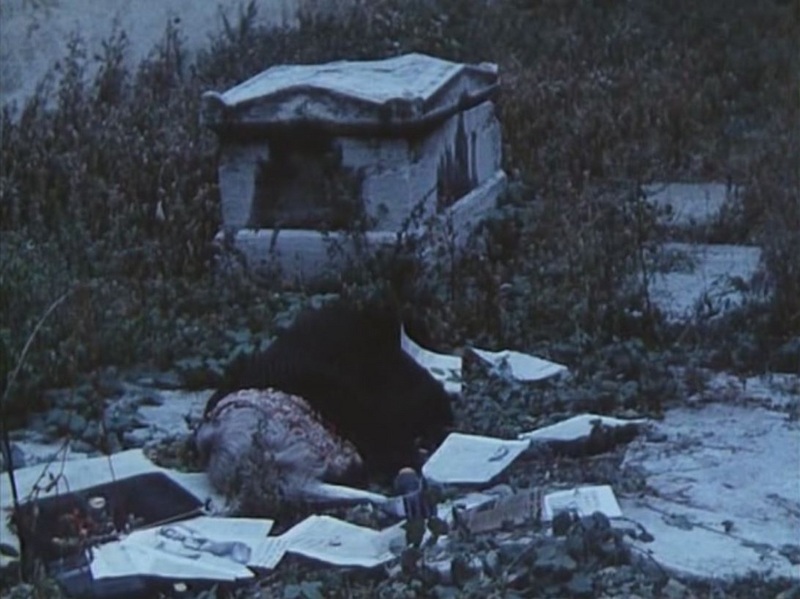 58’, as in the jeu de l’oie): they find the ‘Max au couteau’ dead, wearing a wig, and find the blue jeu de l’oie, with the Greek characters. 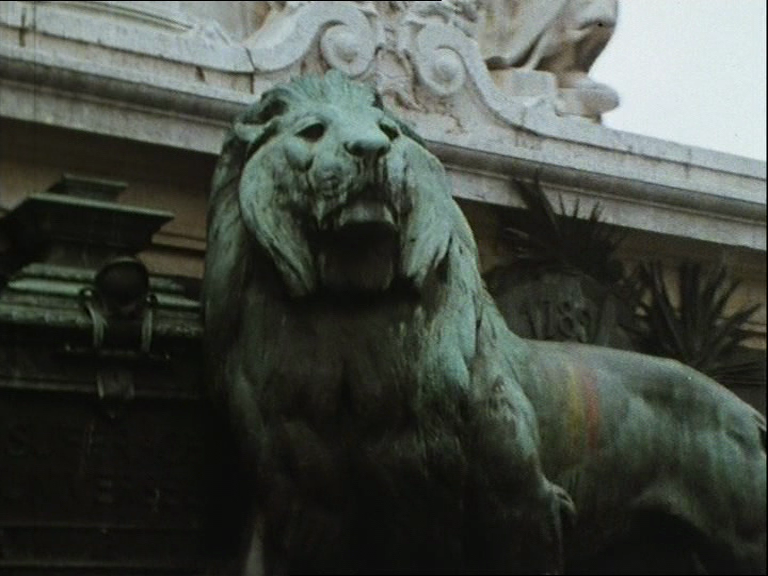 insert: a lion from the nearby place de la République. 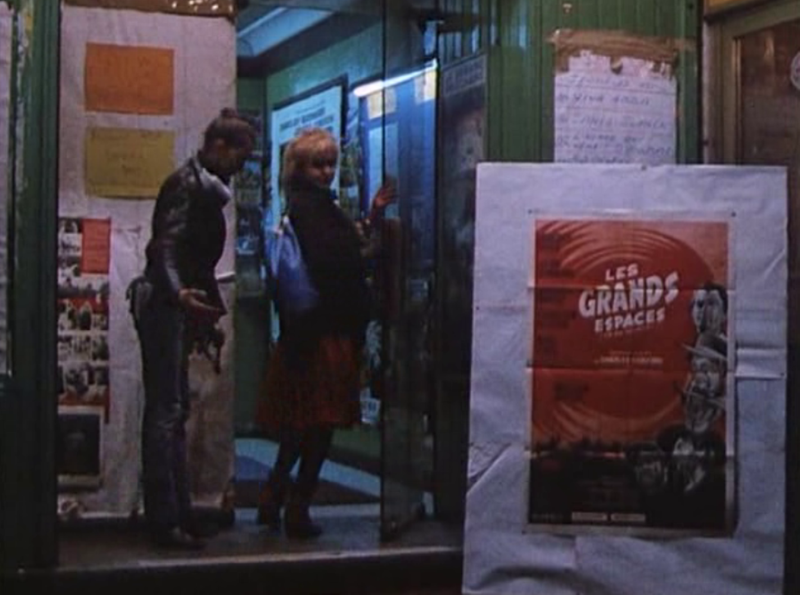 The same cinema, the next day, now playing Clouzot’s La Prisonniere (1968): Baptiste & Marie slept in the cinema. 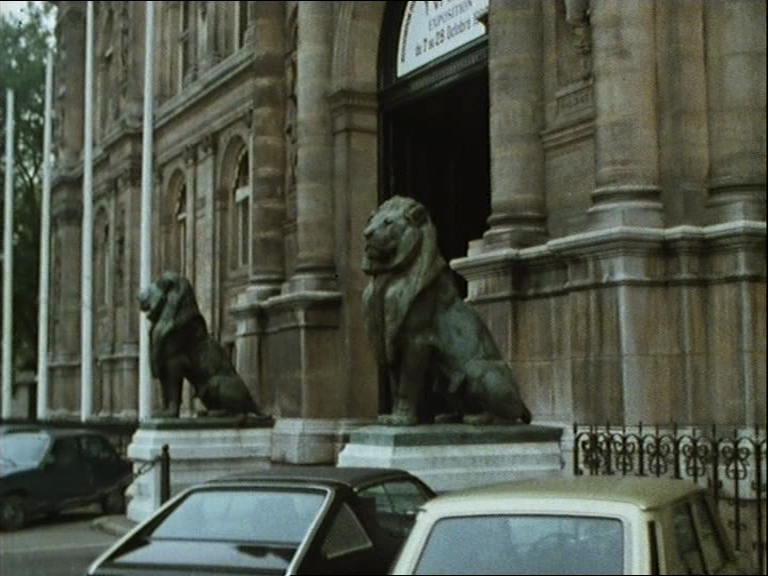 Then the same cinema the next day, now playing Clouzot’s La Prisonniere (1968): Baptiste & Marie slept in the cinema. 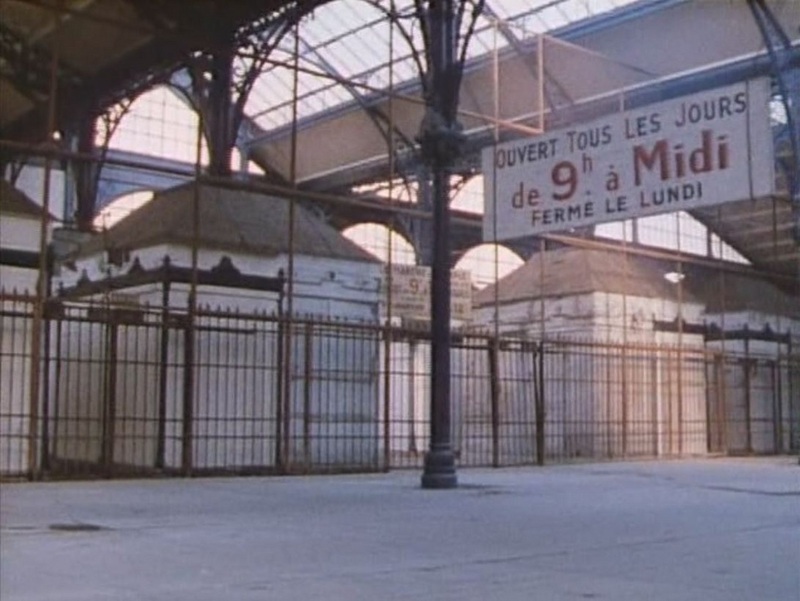 3e: a covered market not far from where they spent the night, le carreau du Temple, rue Perrée. Baptiste & Marie examine the jeu de l’oie. 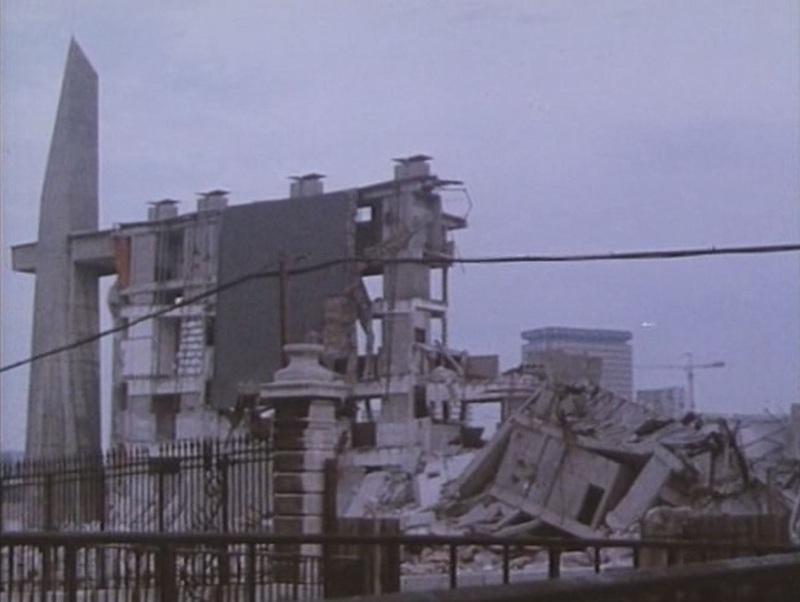 10e: by the canal Saint Martin, quai de Jemmapes (‘no.42’ in the jeu): I don’t know what has just been demolished here, but on this site stood the gibet de Montfaucon until 1760 (though the last hanging there was in 1629); Baptiste & Marie, & Max & 'le Max au manteau'. 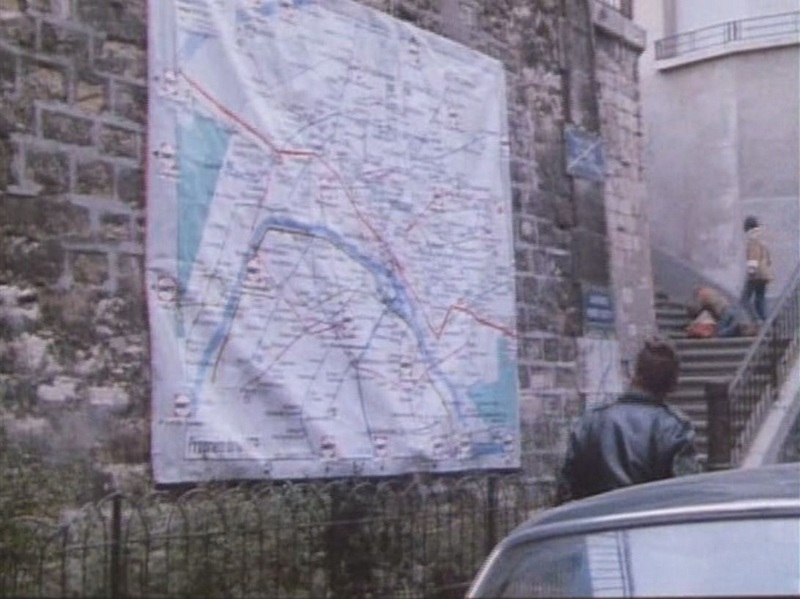 12e: the wine depot at Bercy: Marie meets Julien at the address given by Max: the junction of the rue du Port de Bercy & the rue de Nuits. 12e: the Auberge de la Pomme d’Or, within the wine depot at Bercy. Marie meets Baptiste. 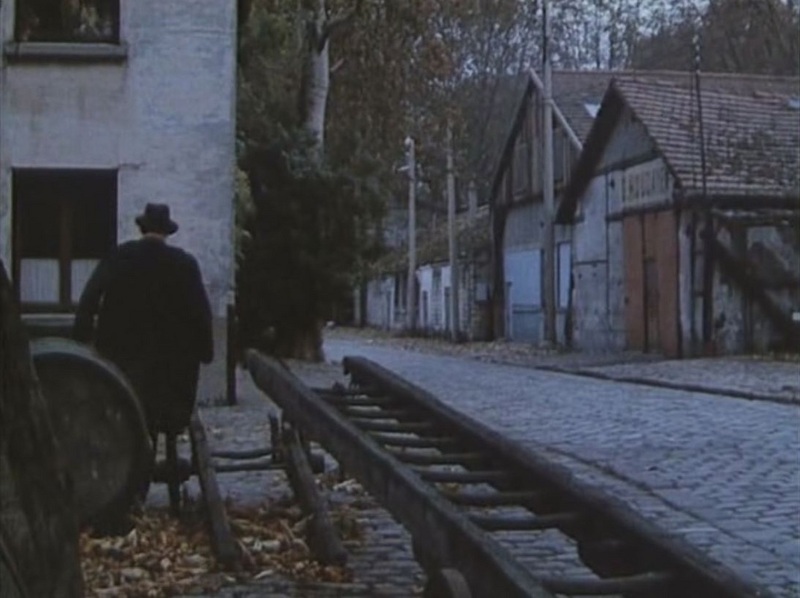 then, on the Petite Ceinture, the quai des abattoirs (where Baptiste is attacked by ‘le Max au manteau’). 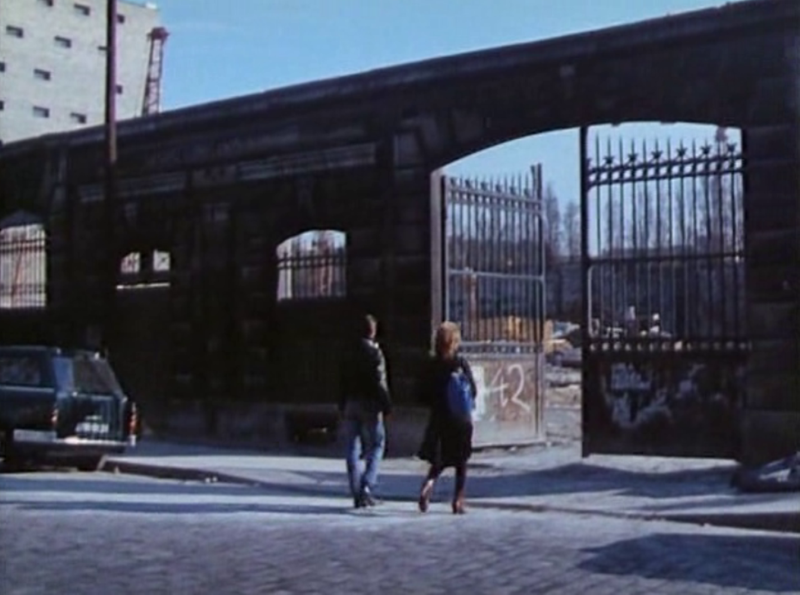 15e: Baptiste & Marie walk along the Petite Ceinture, eastwards from the quai des abattoirs (having passed under the rue Brancion bridge, heading towards the rue Jacques Baudry bridge). 15e: rue Dombasle, junction with the rue de Dantzig. Baptiste & Marie in the street at night (a plan-séquence). They find a car to sleep in. 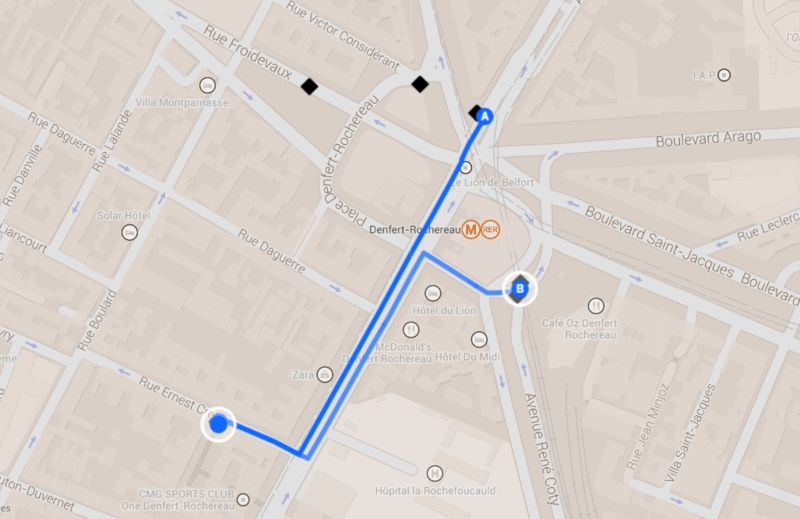 15e: rue du Lieuvin, junction with the rue Fizeau, the next day. 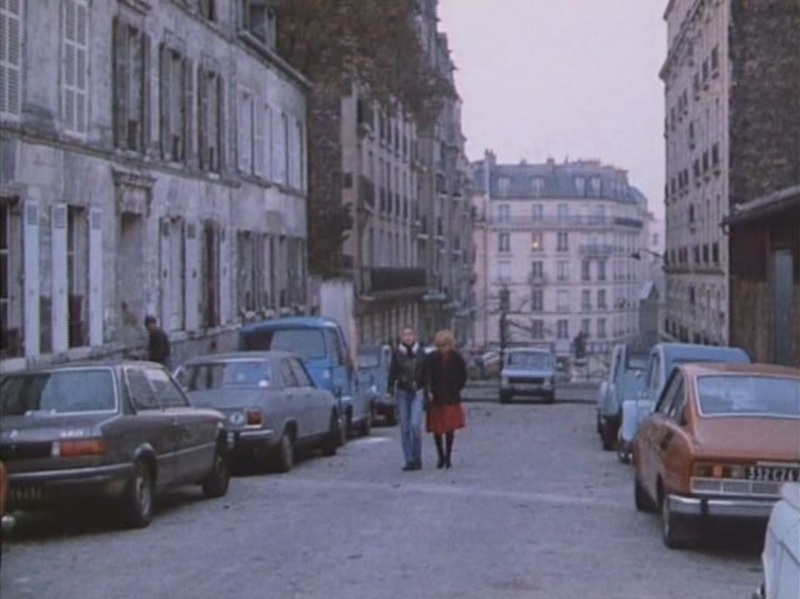 This is a different street: the car Baptiste & Marie slept in has moved a few blocks. 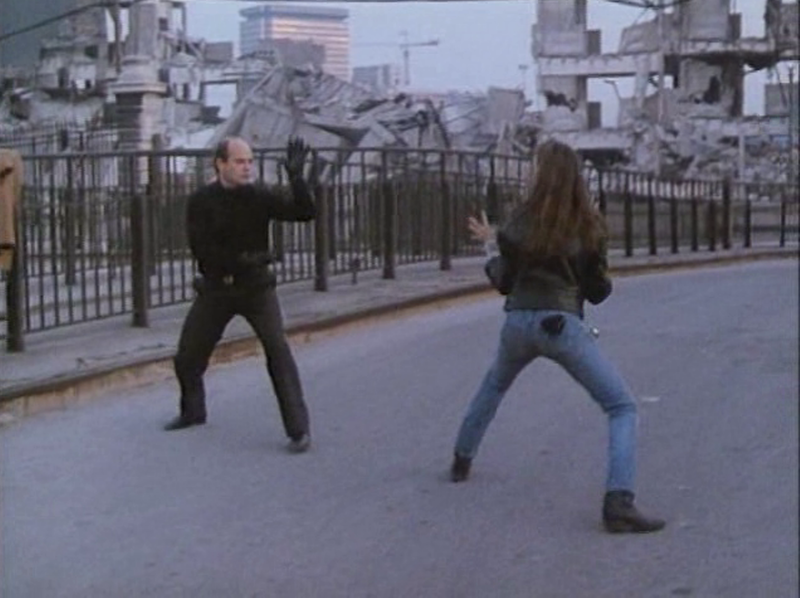 19e: Baptiste & Marie on the first bridge after the junction of the Canal de l’Ourcq and the Canal Saint Denis, going towards Pantin; Baptiste goes to defeat the toboggan dragon in the parc de la Villette, Marie goes to try to make a phone call; Baptiste rejoins Marie, and eventually shoots the Hungarian who had been using the telephone (whom she thinks is a Max). 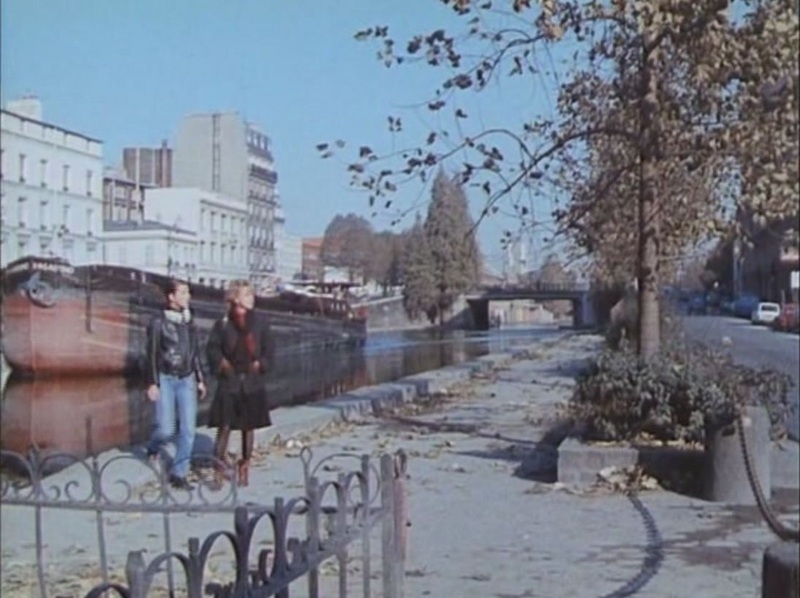 19e: Marie & Baptiste on the ‘Grande écluse’ in the Canal Saint Denis; Marie goes to meet Julien, ‘quai de l’Oise, dans le tournant’; Max confronts Baptiste. 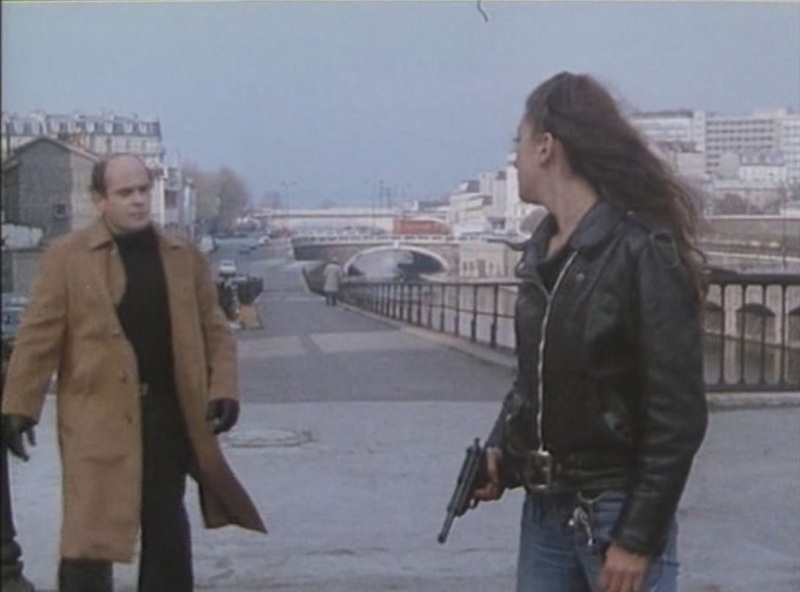 19e: Marie waits for and meets Julien; Julien kills Marie near the café Le Débarcadère (now ‘Le Doux Rivage’, 41 quai de l’Oise). 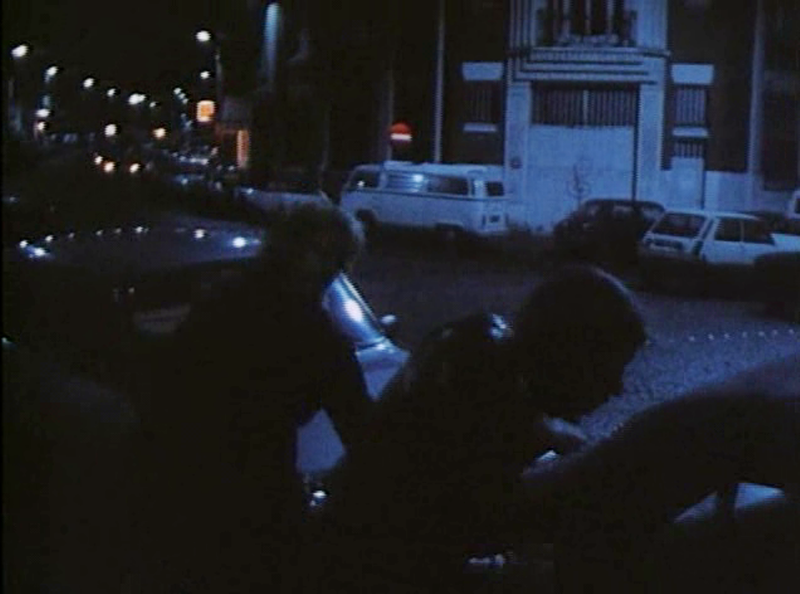 19e: Baptiste fights with Max on on the second bridge after the junction of the Canal de l’Ourcq and the Canal Saint Denis, the ‘Pont des Abattoirs’. This bridge is now gone. 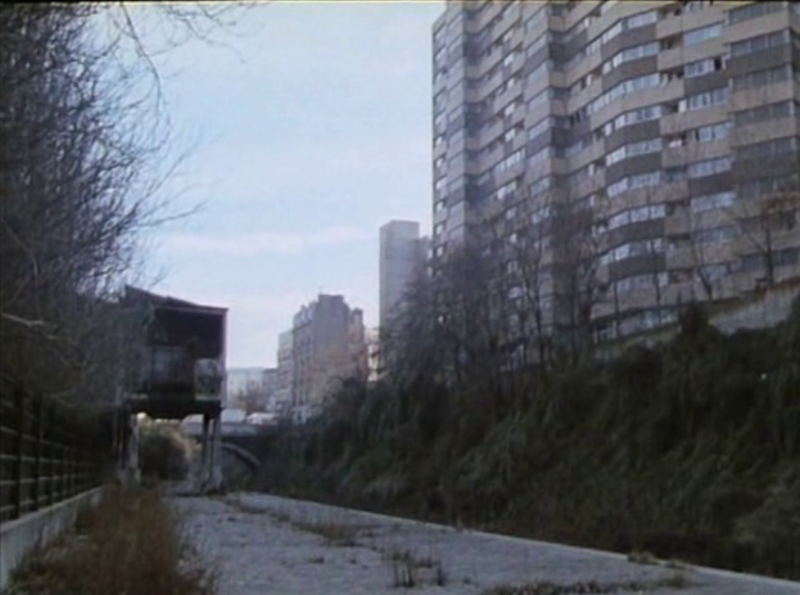 It crossed the canal de l’Ourcq just before a rail bridge carrying the branch line to the abattoirs, after which was the bridge carrying the boulevard Macdonald. 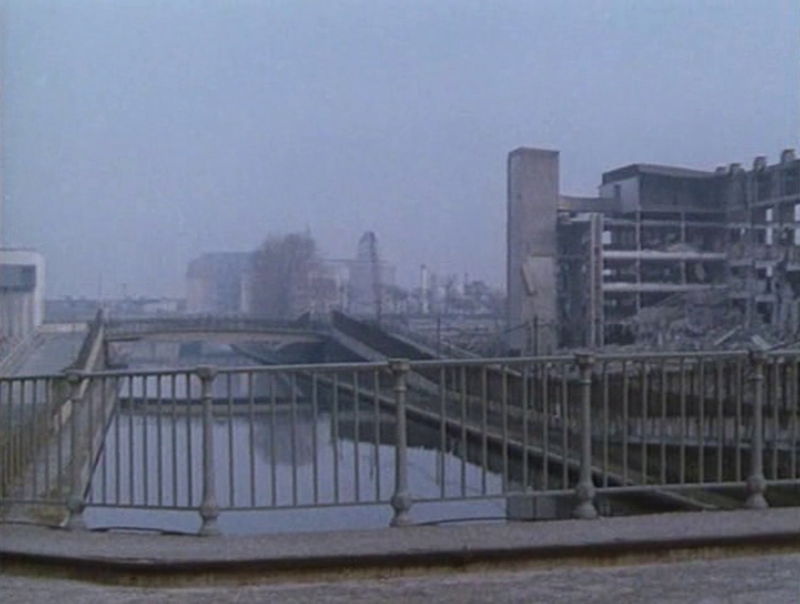 This description of Le Pont du Nord was originally produced as a tool for students working on the film in the French Department at University College London. The breakdown into sequences is my own, as is the calculation of shots (n.b., I may well have miscounted them). I am grateful to Bulle Ogier and Caroline Champetier for help in identifying certain locations.